This is a version of yuca con mojo — yuca with garlic sauce. It's a delicious vegan Cuban dish, a combination of citrus, onions, garlic, spices and — of course — yuca. It's a tasty alternative to potatoes as a side dish — in fact, yuca has been called the "better" white potato by those who are familiar with it. A staple of the Caribbean diet and it's very popular in African and Asian cuisine, this tuber is usually available in large U.S. grocery stores as well, either fresh or frozen. 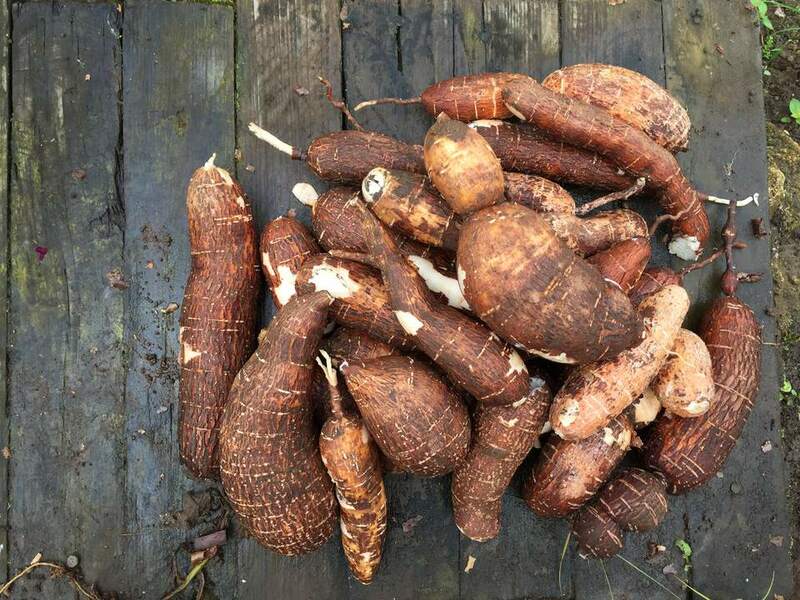 You might have to hunt for it a bit, however — it's also sometimes called cassava, manioc or good old American tapioca, so you may want to look for it under these other names. Boil the yuca in salted water until it becomes tender, about 30 minutes. Drain the yuca and place it in a serving dish. Set it aside, but keep it warm. Don't allow it to come back to room temperature while you make the garlic sauce. Combine the onions, orange juice, lime juice, cilantro and garlic in a bowl. Pour the mixture over the yuca. Heat the olive oil, oregano, cumin, salt, and pepper in a heavy pan until hot. Pour the hot oil over the yuca. You can use fresh or frozen yuca in this recipe. Fresh yuca should be firm with no soft spots. Its flesh should be white. If you buy fresh yuca, watch out for any tough parts in the center. They'll appear like chunks of wood. Remove and discard them. You can peel the yuca ahead of time and store it in water in the refrigerator for up to four days, or you can freeze it for several months. If the yuca cools off too much while you're making the sauce, you can microwave it very briefly, up to 5 seconds or so. Mix it up with various citrus juices. Instead of orange and lime, use a combination of grapefruit, lemon, or tangerine juices. If you don't have cilantro on hand, freshly chopped parsley can be used in its place.